Safes Galore presents the SG30K drop safes, a compact range of safes designed for daily cash deposits from retail shops, churches, events and sporting clubs. 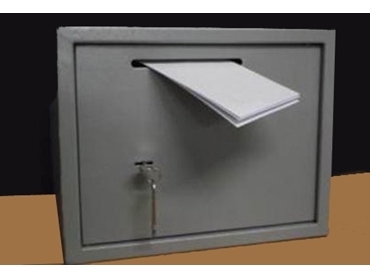 SG30K drop safes with key lock allow staff to safely and quickly deposit daily collections in envelopes into the lower safe. SG30K drop safes are fitted with a double throw lock for extra security, and can be opened with the double bitted security safe key supplied with the unit. The drop safes are mounted using the holes in the back and the base, and are also supplied with masonry anchors for bolting down securely.